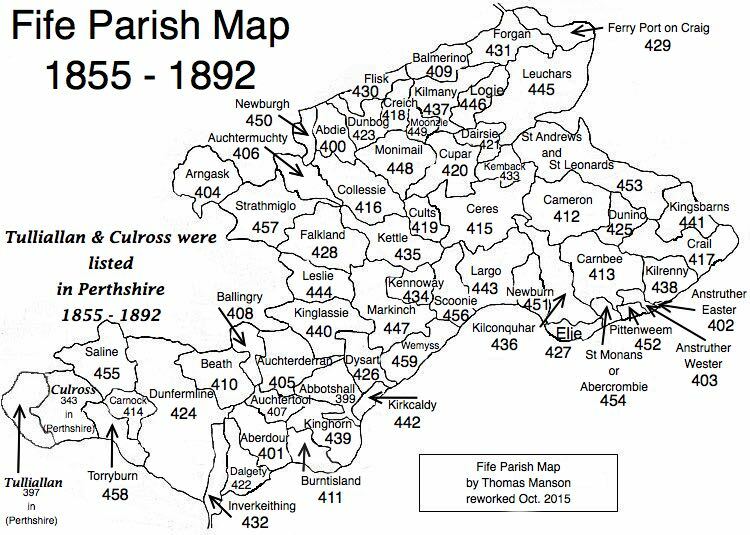 Parish of Kettle – The Fife Post………..for genealogy and historical information. KETTLE, a parish, in the district of Cupar, county of Fife; including the villages of Balmalcolm, BanktonPark, Coalton, and Holekettle-Bridge, and the hamlets of Muirhead and Myreside; 6 miles (S. W. ) from Cupar. This place derives its name, which, in ancient documents, is written Catril and Katel, from its having belonged to the kings of Scotland, by whom it was appropriated to the pasture of the cattle of the royal household. The church, a handsome cruciform edifice in the later English style, with a square tower, was erected in 1834–5, and is adapted for 1200 persons. There are places of worship for members of the Free Church and Relief.